H3O staff has many years of experience with concrete repairs, and restoration. Our company uses only the products with the highest quality for your decorative concrete finishes. 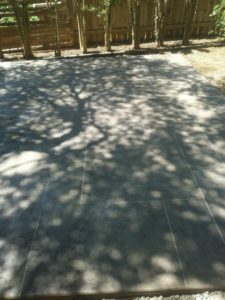 We service many businesses and residencies in Texas with Spraydeck, Sharkgrip, Salt Finish, Stamp & Stain, Rainbow Rock, and Flagstone overlays. H3O offers the best solution for all of your concrete needs. At H3O our stamp overlay creates a wide array of possibilities for our customer’s deck. The system is a durable 1/8″ – 1/4″ overlay that will resurrect all of your tired, damaged and worn or even give some zest to new concrete. Resurfacing your concrete is the best solution for repairing any cracked, stained, and worn driveways. We can also resurface your walkways and patios. Why pay such a high price to completely redo your driveway, deck, or patio when you can just resurface it and make it look brand new? When most people think of concrete they usually think of a boring, old, gray finish. Now your old broom finish concrete is thought of as one of our many glamorous decorative elements. Spray Deck texturing is a great way to bring even more allure to your existing or brand new concrete surfaces. This added texture on the surface will create a nice and cool, skid-resistant surface for you to walk on and there are also a wide variety of colors to choose from. H3O can also install a flagstone overlay. Our flagstone overlay looks and feels like real quarry stone. The stone used by H3O is very durable and will last. In each job the stone is applied by hand, each stone is hand carved by one of our highly skilled professionals, and each individually colored by request. Each and every customer can be confident that the concrete coating they are receiving will be a masterpiece. H3O’s high-quality concrete repairs and restoration beautify your outdoor surfaces without breaking your budget! Are you in need of a wall or fence?